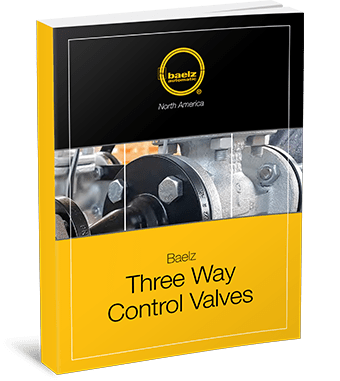 Three Way Control Valves eBook | Baelz N.A. Allowing for great versatility, control valves are supplied across a huge range of industries to manage the flow of various fluids. Baelz North America is proud to be a premier producer of high-end three-way control valves for use in many different industrial applications.